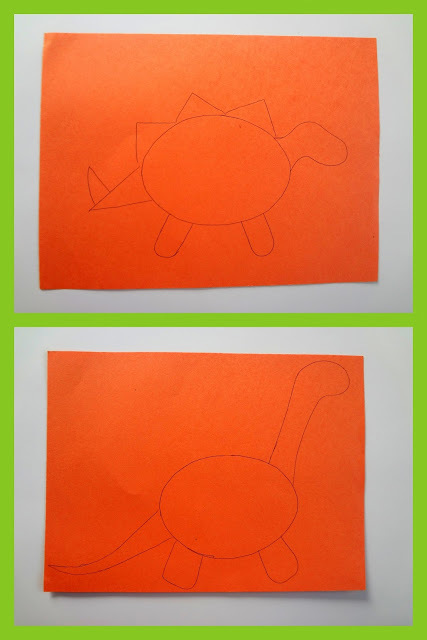 Our 4th and final Dinosaur activity for our dinosaur theme this week is this easy Fossil-Hunt activity! This is a very simple way to make your own home-made fossils! 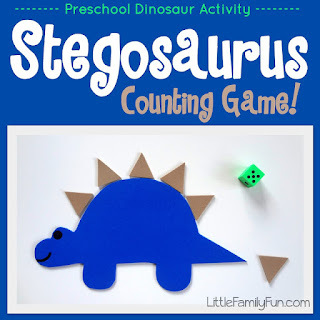 And a fun way to help your children feel just like a scientist, discovering their very own dinosaur! And here are some fun books to go along with this activity! 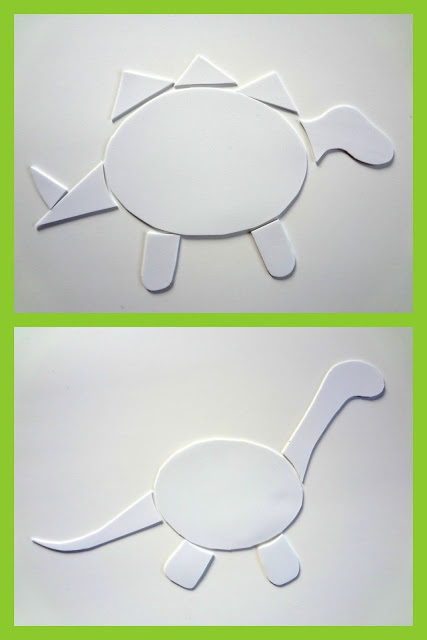 Draw some basic shapes on a piece of white craft foam to create a dinosaur. I made 2 dinosaurs. Then cut them out! These are now your fossils! 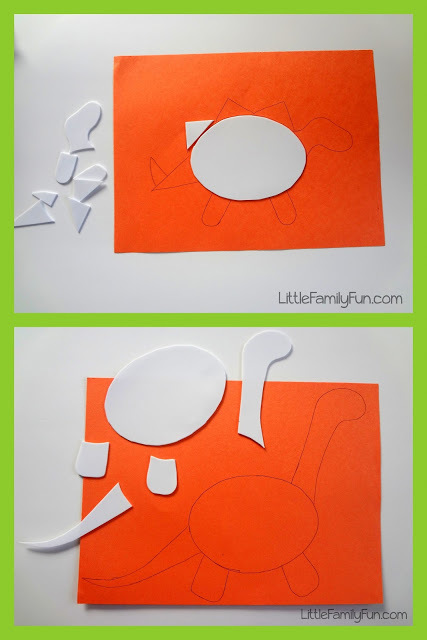 Next, put the shapes on the pieces of construction paper and trace them. Lay out all the fossils and let your child put them together on the papers like a puzzle. Get out a big bucket or tub and fill it with rice. Put all the fossils in it and let your child "dig" in it to find them. When they find them, they can figure out where they go by matching them up to the dinosaur shapes drawn on the papers. 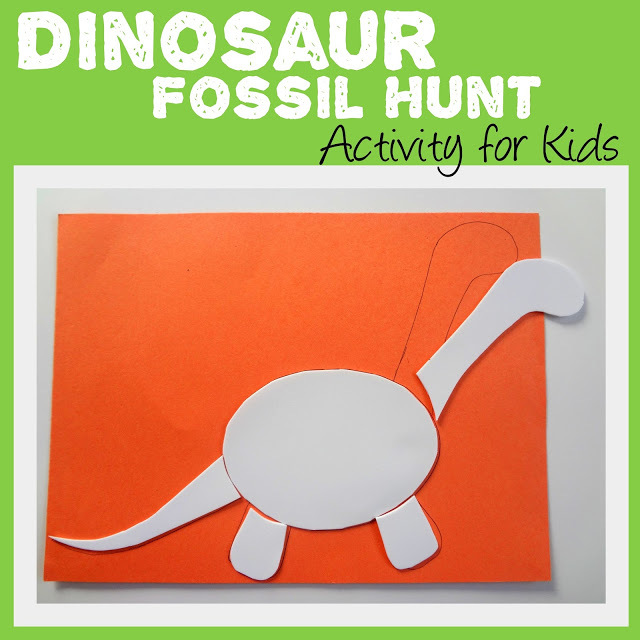 Hide the dinosaur fossils in a room and let them hunt for them, matching them up to the papers when they find them. 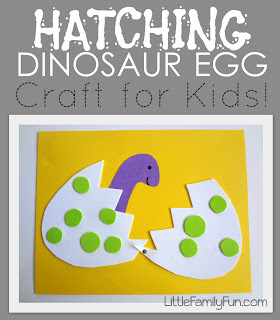 And don't forget to check out our other fun Dinosaur Themed Activities for kids!